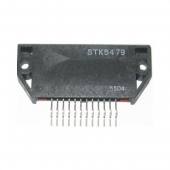 STK modules are medium size power amp and power supply modules. 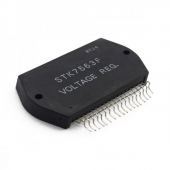 They were, and still are, frequently used in consumer receivers, power amplifiers, and powered monitors. We have a large selection of them at reasonable prices. Most of these parts are NOS, and in some cases the wire leads may be slightly bent fron storage. When replacing these modules, use heat sink compound and in cases where they are mounted to a chassis, be sure to fasten them securely for efficient heat transfer.